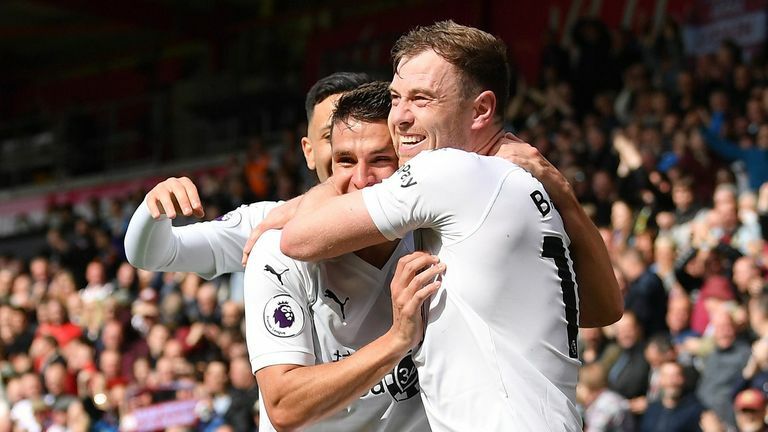 Howe revealed in the wake of last week's 3-1 home defeat to Burnley that he feared his side were losing their identity as they struggled to implement their training ground plans into match day. But he remains confident they can improve, beginning with Saturday's trip to Brighton, and insisted he has been through tougher spells during his two spells at the club. "You go through these phases but what is important when you do, is that you don't lose your way of playing and what really defines you and that is what we are desperately searching for tomorrow," said Howe. "We have gone back to basics, if you like, in terms of how we play and what our identity is and, hopefully, that will show this weekend. "I have had harder times. All through the journey we have been on, through a number of years now, there have been times that have been very difficult. "It's only when you are on the inside that you feel that. We have been here before, we have to dig deep and show character, resilience, and we know we will come through this period of time. "I have got no doubt about that because we have a quality team and I really do believe in the players." 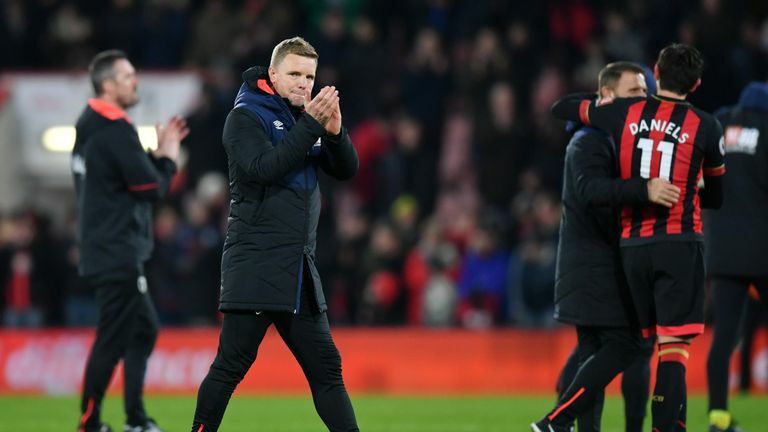 Howe also praised the Bournemouth fans for remaining loyal to the team during matches, even if some vented their frustration at the final whistle against Burnley. "The fact they did it at the end of the game, not during the game, I have huge respect for that," he added. "If I try to put myself in their shoes, I wouldn't necessarily have enjoyed watching that performance but they supported the players during the game and that's all I can ever ask. "Afterwards, they are totally free to express their opinions how they see fit. "We owe them a performance this weekend and we are doing everything we can to deliver that." Howe was also asked whether Ryan Fraser will be remaining at the club, with the Scotland winger having reportedly attracted interest from Arsenal. Cherries chairman Jeff Mostyn has already insisted Fraser and striker Callum Wilson - linked with Chelsea in January - will be staying at the Vitality Stadium but Howe was unwilling to speculate on Fraser's future at the club. "I love Ryan to bits, so no doubt on that side [whether he wants Fraser to stay] but now is not the time to talk about any transfer speculation. Now is the time to concentrate on football," he said. "I am focusing on football and have not had discussions with anybody about the transfer window this summer and it's not the time to do that. "I'm just coaching the team and preparing for Brighton."